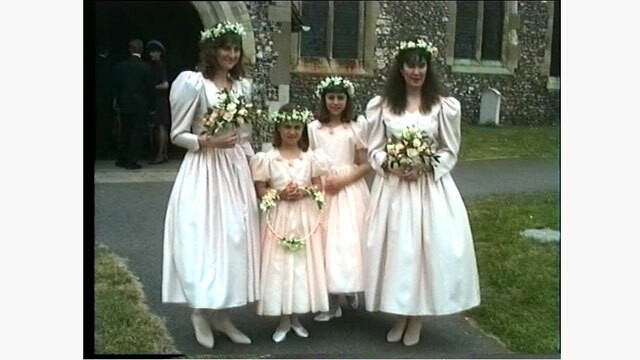 Long before she was the elegant Duchess of Cambridge, Kate Middleton was walking down the aisle as a junior bridesmaid. 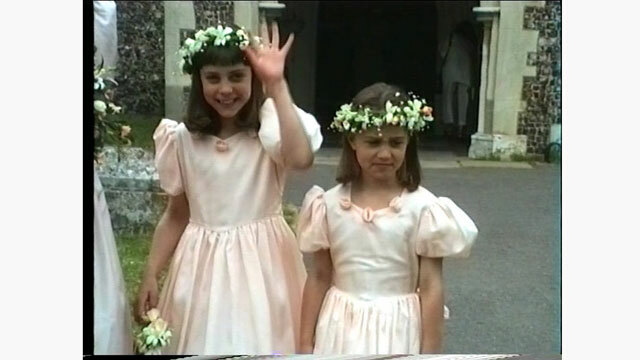 In 1991, the royal, then nine years old, and her sister, Pippa, then seven, participated in their uncle Gary Goldsmith's wedding to Maranda Foote. The adorable siblings donned matching pale pink bridesmaids dresses and flower crowns at the ceremony, while their brother, James, then four, served as a page boy. WATCH: Pippa Middleton's Wedding Party Will Feature a British Bachelor, But Will Kate Be Matron of Honor? Who could have predicted that 20 years later, Kate would marry Prince William? Pippa also served as a bridesmaid in that wedding, but this time, she was wearing Alexander McQueen and the entire world was watching. The Duke and Duchess of Cambridge now have two children of their own, and are relocating to London, where 3-year-old George will be enrolled in school and 1-year-old Charlotte will be in nursery. Meanwhile, Pippa, 33, is planning a wedding to James Matthews, but it's not yet known if her royal niece and nephew will be involved in the ceremony, or even if Kate will serve as her sister's matron of honor.